Home &hyphen; Uncategorised &hyphen; Quinlan’s Seafood set to create 25 jobs with expansion. Quinlan’s Seafood set to create 25 jobs with expansion. 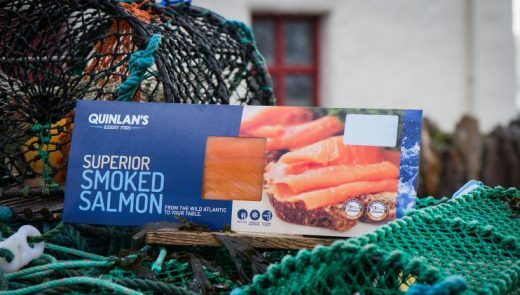 Award winning smoked salmon producer Quinlan’s have today confirmed that they have acquired the renowned international smoked salmon brand ‘Kenmare Select’ . ‘Kenmare Select’ was started by the award winning chef Rémy Benoit in 1991 and like Quinlan’s, Kenmare Select uses what is described as a traditional approach to producing it’s suite of products . Quinlan’s smoked salmon has won many awards including the supreme champion award at Blás na hÉireann as well as gold stars from the globally recognised Taste awards. In recent years Quinlan’s Seafood has added to it’s fish processing operation at Caherciveen and Retail fish shops throughout Kerry with the launch of it’s Seafood Bars throughout Munster. Liam Quinlan has today confirmed that upwards of 15 jobs will also be created with the opening of a new seafood bar in Kenmare. This will be Quinlan’s fifth seafood bar. 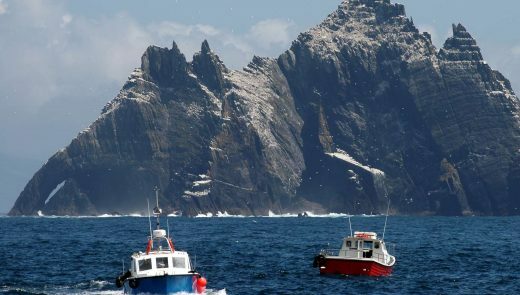 ” We are landing the freshest catch on our Irish coastline and our motto is to bring our customers the tastiest seafood from tide to table. We opened our first seafood bar in 2011 in Killarney and have since opened in Tralee, Killorglin, Cork and now Kenmare. Quinlan’s Fish was founded by Michael Quinlan in 1963. The family firm is now run by his sons Liam, Ronan and Fintan and this will see employment at the company rise to over 100. Quinlan’s have 4 retail fish shops throughout Co Kerry. Quinlan’s operate 5 seafood bars with 2 further openings due in 2017.